Edward Ringwood Hewitt was a noted author, inventor, and sports fisherman. He was born in June of 1866 at Ringwood Manor, which his middle name commemorates. He was a graduate of Princeton University, did postgraduate work at the University of Berlin, and spent much time traveling throughout Europe. Edward's first job was with Hiram Maxim in England, attempting to develop a steam-powered aircraft. Although unsuccessful, their work did help to solve certain aviation problems. While in England, Hewitt also invented a one-cylinder car that was marketed by the Adams Hewitt Company. He later organized the Hewitt Motor Company in New York. The single-cylinder engine was soon outdated, and Edward turned his attention to designing a truck engine that was later adopted by Mack Trucks. His company was later absorbed by the International Motor Corporation, which manufactured Mack Trucks, and Edward was retained by the company as a consultant until his death. Edward had a keen interest in chemistry and engineering. He also was interested in farming, testing soil and trying to increase the vitamin content of hay. He later penned a booklet noting the effect of lecithin on the health of individuals. Edward's main love was fishing. By age 26, he had already fished throughout Europe, Canada, and the American West. He incorporated underwater photography to take pictures of fish nibbling at various types of artificial flies. In 1918, Edward established a fishing camp, called the "Big Bend Club," on 2,700 acres in the Catskill Mountains. He was a pioneer in stream reconstruction and habitat improvement for trout and was the creator of such flies as the Neversink Skater and the Bi-Visible. He was also credited with pioneering the use of a small, one-handed rod for salmon fishing, which was an improvement on the oversized two-handed rods used in Britain. Edward even produced a small catalog where people could purchase his own designs of fishing condition charts, magnifying glasses, line greases, leader soaks, and various flies that he personally tied. He is also the original patent holder of the felt-sole wading shoe and other innovations. Edward authored many books on fishing. 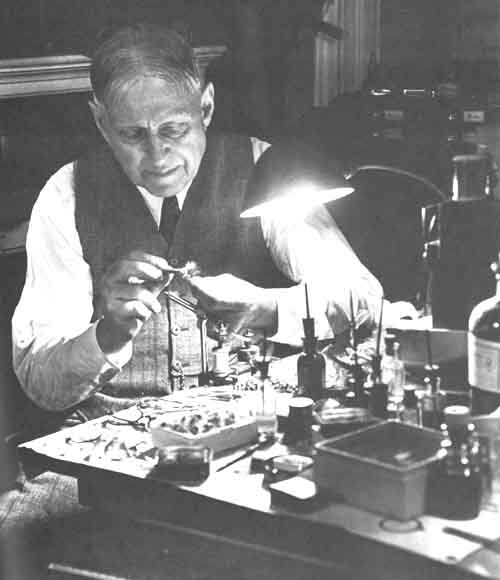 His works include: Secrets of the Salmon (1922),Telling on the Trout (1926), Better Trout Streams (1931), Hewitt's Handbook of Fly Fishing (1933), Hewitt's Handbook of Stream Improvement (1934), Hewitt's Nymph Fly Fishing (1934), Hewitt's Handbook of Trout Raising and Stocking (1935), and A Trout and Salmon Fisherman for 75 Years (1948). Edward Hewitt married Mary Ashley in 1892, and they had four children. The family had a home in the Gramercy Park section of New York City and a summer residence at Ringwood named Weewapoo Farms. The farm was later appropriated by the State of NJ and is now part of the Wanaque Reservoir. Edward went on to write several books about his personal life and his famous family. He penned Ringwood Manor: Home of the Hewitts, Those Were the Days, and Days from Seventy-Five to Ninety. These books give a first-hand account of what it was like to live at the Hewitt's residences in New York City and Ringwood. Edward was an avid collector of exotic musical instruments and had a keen ear for fine music. 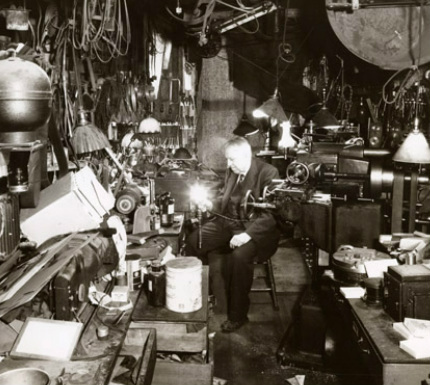 He even patented a machine to make strings for musical instruments. After his death, his collection of rare pieces was given to the Harvard University Music Department where they are still available to researchers from all over the world. Like the rest of his family, Edward was active within the Cooper Union community, serving as its treasurer from 1898 until 1924. After living a successful life Edward Ringwood Hewitt passed away at the age of 91 on February 14, 1957.